The drive for greater sustainability in the US consumer food chain has been at the forefront of grocery related news for a few years now. 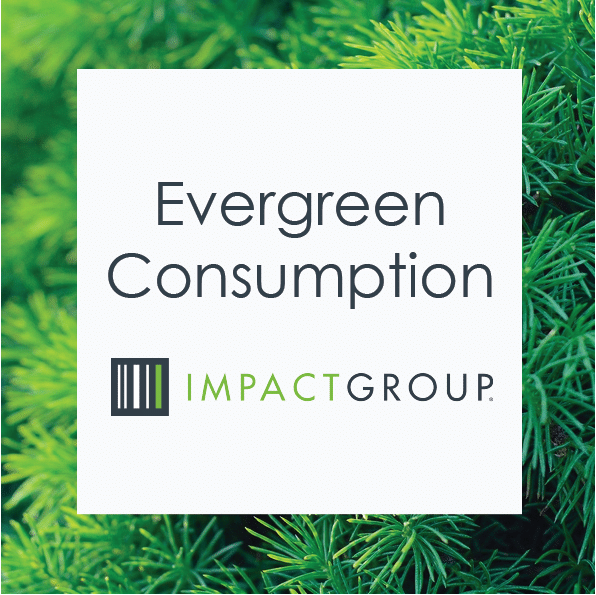 It seems in 2019 that many of the various components of these concerns are beginning to connect into an overall thesis – which market research and insight firm Mintel has termed “Evergreen Consumption”. This concept connects the environmental and health concerns of consumers that range across the entire lifespan of a product from its creation to its post-consumer end. In the grocery industry, organic and non-GMO labels have been a through-line over the past several years. Simultaneously, discussions about plastic bags and straws have created a stir as environmental considerations lead to legislation at the state or municipal level across the country. The Evergreen Consumption concept blends these concerns into a single larger notion. As consumers become more and more educated about the full spectrum of their food’s lifespan, they’ve come to see the health of the natural world as both parallel to and having a direct impact on their personal health. Recent studies have shown that ‘microplastics’ have been widely detected in even the smallest sea-organisms, such as zoo-plankton, which means that in some cases our food’s food’s food’s food’s food contains plastic particles. Many of the same types of plastics that we would not cook our food in are being consumed by various lifeforms throughout their respective eco systems. All that plastic runs upstream to our grocery stores, where it is re-wrapped in more of that same plastic, brought home, and the cycle begins again. Scientific revelations such as this have captured the attention of even the least ecologically minded amongst us, as there is not yet a full understanding of the impact this has on our health as consumers. The intersection of personal health concerns with overarching environmental affairs is where Evergreen Consumption finds its motivation. On the issue of plastics specifically there have been several efforts across the CPG food chain to tackle the issue head on. Coca-Cola released a fully plant-based PET bottle back in 2015 and has since put forward a global initiative called World Without Waste, which seeks to recycle a bottle or can for everyone that they sell by 2030. On the retailer end, Wegmans grocery stores have been focused on sustainable packaging since 2017 when they announced they would be using packaging made at least partially from plant-based materials in produce, meat, and prepared foods. They also began using paper packaging where applicable to cut down on their overall reliance on plastic. As educated consumers continue to put pressure on the marketplace with their wallets, innovation blooms where there had only been gloom. Companies like Plantic are creating packaging materials that use less regular plastic while delivering better performance, thereby reducing food waste. Where clear packaging is not necessary, there have been great strides in natural fiber packaging as well. These materials can now be molded and colored in much the same ways their plastic cousins are, except they are made from renewable resources, and fully compostable – thereby closing the loop. Be Green Packaging is an excellent example of a company tailoring its products to the CPG world while delivering on Evergreen Consumption principles.